Got Vacation Plans? 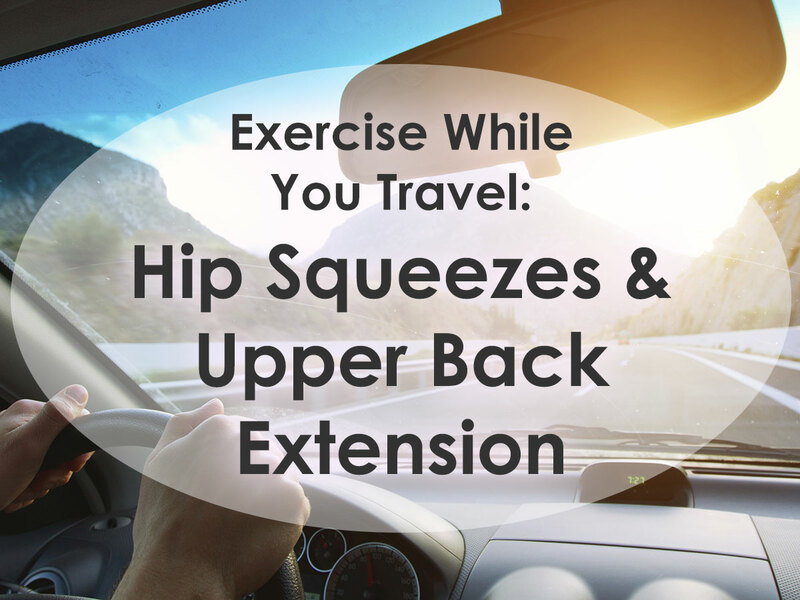 Increase Circulation & Strengthen your Posture while on the Road! Whether it’s by car, bus, plane, or train, it’s important to keep your circulation flowing and maintain your posture while you travel! Check out these easy exercises to do while sitting during the next leg of our vacation journey! Feel your body lift up from your seat to know you’re doing it right! Complete 3 sets of 8 to 10 reps to bring circulation into your hips during those long haul trips! If you feel your mid to upper back engage, you’re strengthening your posture! Great job! Complete 3 reps of 15 seconds each, be grateful for Pilates AND proud of yourself for using your time wisely!